LAKEWOOD, Colo., March 1, 2018	(Newswire.com) - DHI Water & Environment, Inc, a Danish not-for-profit research, and consultancy firm regionally headquartered in Denver, Colorado, has expanded its footprint to now include an Ecology and Environment Department (EED). The EED department will allow DHI to offer a more comprehensive array of ecological and environmental services to their client base in North and South America. According to DHI’s Regional Director for the Americas, Tom Foster, positive market indicators, and the success other DHI EEDs have had around the world in developing their environmental offerings led to the decision to open this department in North America. “We have always provided water-related environmental services to our clients in the U.S. and Canada, but felt the increasing demand for integrated environmental input warranted a dedicated group that could better bring new and existing EED services to the forefront,” stated Foster. 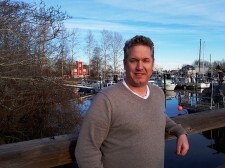 Heading the new EED Department is Director of Environmental Projects for the Americas, Josh van Berkel. “The nature of DHI’s environmental services will focus on our core competencies in water environments, namely providing risk assessments in the form of environmental impact assessments (EIAs) and mitigation strategies from the early planning stage through operations. These services will be based on the innovative methods already applied in other DHI markets including Europe, South East Asia, and Australasia,” explained van Berkel. According to van Berkel, “These tools are based on DHI’s comprehensive numerical modeling capabilities coupled with the environmental expertise of our ecologists, chemists, biologists, and environmental scientists. We will apply these tools to support fundamental environmental decision-making processes in areas such as Integrated Coastal Zone Management Planning, Environmental Impact, and Environmental Risk Assessment”. DHI’s habitat, underwater sound, and agent-based modeling software and services allow the firm to analyze coral, seagrass, marine mammals, seabirds, fish and other coastal and marine species and habitat. The MARAMBS Model, for example, predicts fluctuations in marine and coastal habitat based on the physicochemical variables associated with species habitat preferences. The Agent-Based Model predicts an agent’s (e.g. whales, seabirds, and fish) behavioral response to a stressor such as underwater sound. “These scientific-based tools provide comprehensive and readily accessible input to both developers and authorities alike, and thereby improve environmental management,” says van Berkel. “In our experience, these tools have facilitated effective decision-making that saved time and money but also led to the highest likelihood of a sustainable outcome”. DHI’s goal with the opening of this new EED department is to contribute to the rise in professional knowledge-based environmental assessment and management initiatives in coastal and water environments here in North and South America. Source: DHI Water & Environment, Inc.
DHI Water & Environment, Inc.